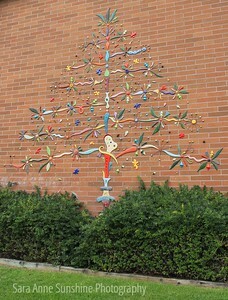 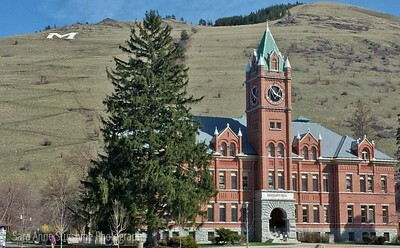 In the Rocky Mountains of Montana sits Missoula. 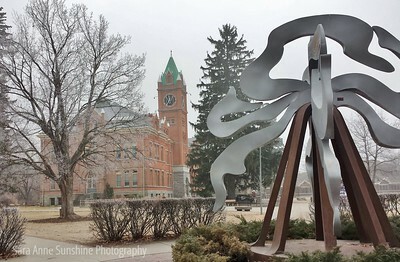 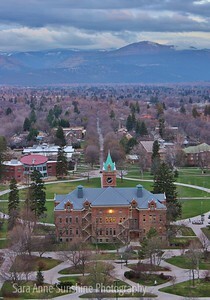 A small city full of love, open minds, craft beer, live music, art, a carousel, The University of Montana (Go Griz! 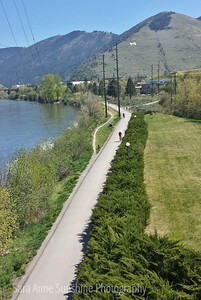 ), with a river running through it and recreation areas in every direction. 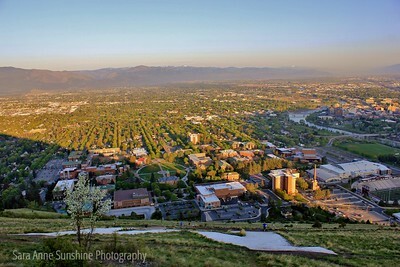 From above The M as the sun rose on the valley. 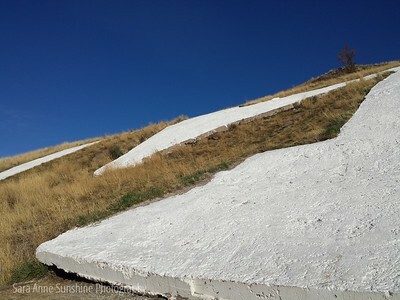 Here it is, "The M." A larger than life concrete M at the top of a steep switch back trail on Mt Sentinel in Missoula beside the UM campus. 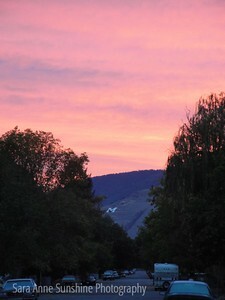 From The M trail as the sunrise brought pink and blues to the sky. 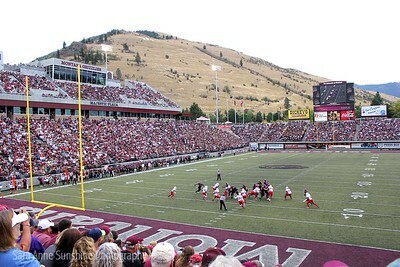 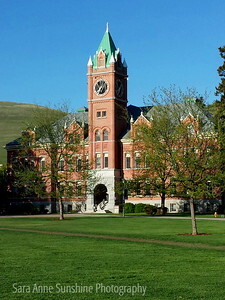 Main Hall on The University of Montana campus and oval. 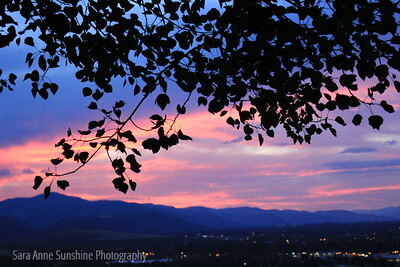 Pink and blue, and tree cover too. 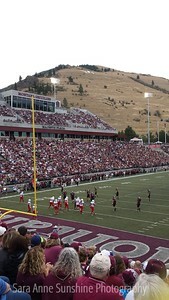 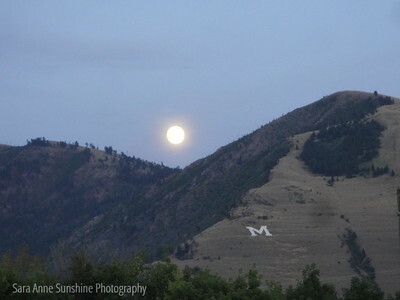 The M on Mt Sentinel in the sunset glow of pink. 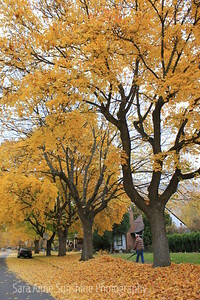 A favorite spot in town when the leaves change color is right here at Arthur and University Ave, across the street from the UM campus. 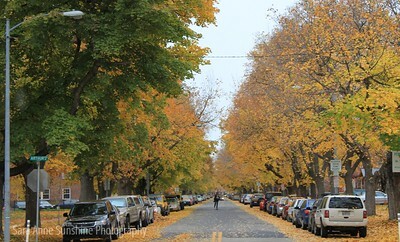 Can you imagine jumping and playing in these leaves?! 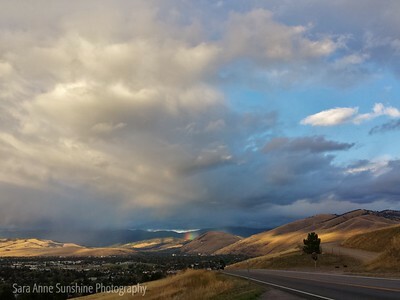 Fall in the University neighborhood of Missoula is magical. 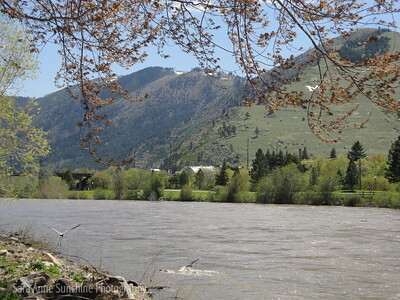 A crane takes off in flight on the Clark Fork River that runs through Missoula. 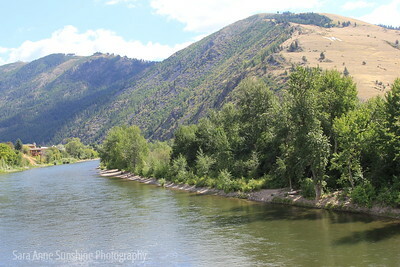 The Clark Fork River comes into town by The M on Mt Sentinel then runs through downtown Missoula. 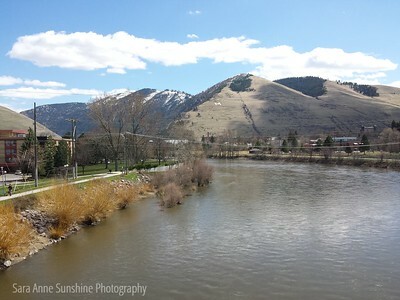 The Clark Fork River hugs Mt Sentinel just before it reaches downtown Missoula. 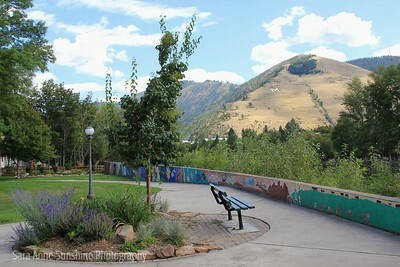 Chill out on this bench and you'll have a view of the The M on Mt Sentinel and the Clark Fork River. 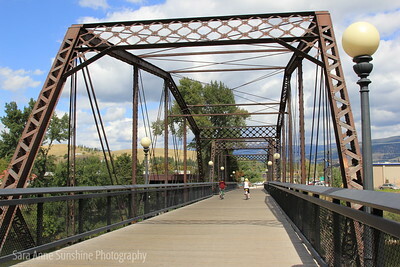 This footbridge connects the Kim Williams trail and the UM campus to Van Buren Street. 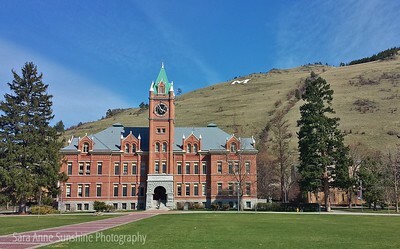 Great option for UM event parking if you don't mind the walk! 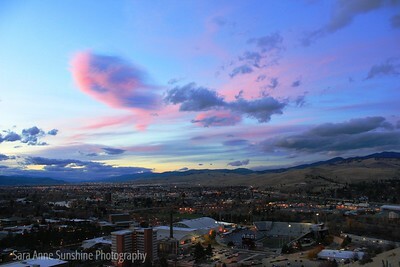 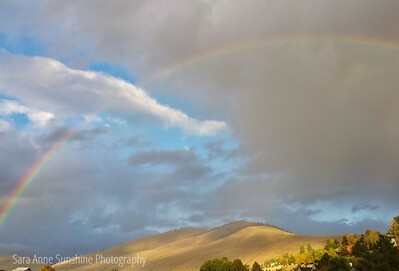 A romanic phenomenon that has spread across the world made it's way to Missoula. 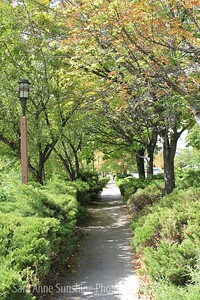 Dense bushes and trees on a sidewalk in the middle of the city.